It’s that time of year again. Shorter days, holiday themed coffee cups, played out sweater parties, awesome awkward family moments, gnarly travel, and Christmas carols on repeat in nearly every place of commerce. Christmas is coming. And with Christmas, comes with Jesse Rieser’s latest installment of his series, Christmas In America: Happy Birthday, Jesus. The project in it’s entirety can be seen here. Enjoy! To see more of Jesse Rieser’s photography go to his website and Altpick.com page. 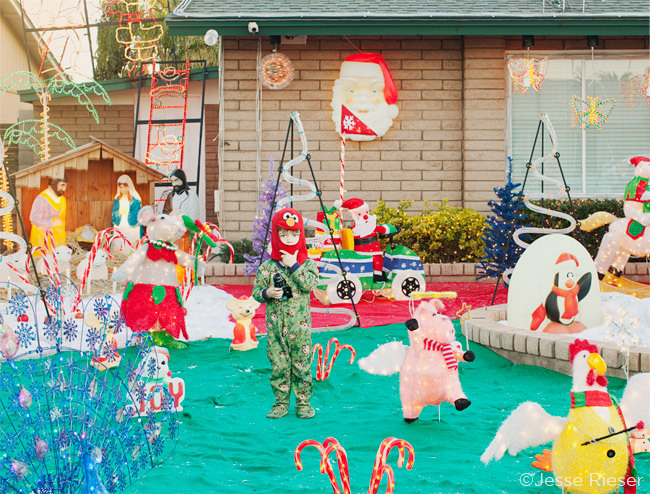 This entry was posted in Altpick, Photography and tagged Christmas, Christmas in America, Jesse Rieser, las vegas. Bookmark the permalink.